The luxurious vehicles manufactured by Lincoln remain a dream for many. 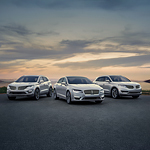 However, Lincoln makes the dream a reality by offering certified pre-owned vehicles. The program includes a wide range of vehicle types. Browse through our Silver Spring pre-owned inventory and choose a vehicle that is right for you. To qualify for the certified program, each vehicle must not surpass a specific age or mileage. They must also have a clear title and vehicle history. Then, our highly trained technicians subject the vehicle to a 200-point inspection. During this time, maintenance is performed along with any necessary repairs. Our vast selection of certified vehicles includes cars, trucks and SUVs. When you select a pre-owned vehicle, you have the advantage of also getting a limited comprehensive warranty and roadside assistance. Let our Koons Lincoln Silver Spring help you get behind the wheel of a Lincoln vehicle and make your dreams come true.